In the previous post we told you why Subduna or Sagu is good for your child, and why it should include it in your baby's diet. In today's article, we will discuss why eating Sabudana during pregnancy is beneficial for you and your baby. Sabundana is full of various nutritious ingredients and easily digested, for which it is one of the best foods for your little one. If you are pregnant for the first time, or are already a child and are waiting for your new baby to welcome again, whatever it is, in all cases it is important that you take care of your diet and overall health. Sabundana, a very gentle Indian dish, also known as a fast food diet in India, has many healthy benefits that will help you in your pregnancy months specially. 1. Keeps your digestive process smooth: Subdana keeps your digestive system cool, helps improve your digestive system and removes constipation. Most women suffer from constipation during pregnancy, and at the same time, they suffer from bacteria and ovum. For constipation you feel gross and feel uncomfortable. 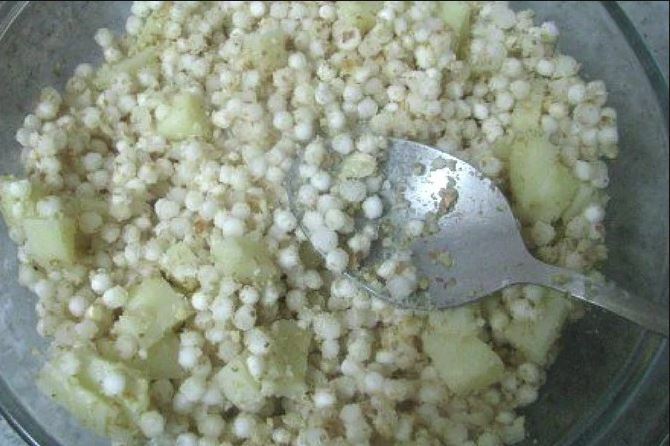 Sabudana is easily digested and can also remove poisonous substances from your organism properly. 2. Great way to start the day with strength: There is enough carbohydrate in Sabudana, that is, if you eat your breakfast, your day will start with extra energy. It gives almost instantaneous strength, and will help you overcome pregnancy months, without being too tired or tired, that problem is most likely to be due to pregnant women. Also, if you already have a baby care or have other responsibilities, this diet will not only help you to do it without fatigue, but your stomach will last for a long time. 3. Pregnant child's birth defects prevent deviation: Do you know that Subudana is a rich source of Vitamin B complex and folic acid, which is important for preventing birth defects of your unborn baby ? These two components help ensure your baby is healthy and the fetal embryo develops as it should. 4. Helps you increase your weight: If your doctor says that the weight should increase in pregnancy, your weight is not growing in the same way, then adding help to your diet list will help. Since it is rich in carbohydrates, so it will help you increase your weight during these months. Now you know how healthy Sabundana is, try to add variety of Sabudana, such as Sabudana Khichuri, Sabudanar Soup, Sabudan Chatt, Samudanar Sammaan etc.